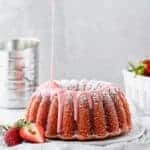 Fresh Strawberry Pound Cake Recipe – A delicious pound cake, perfectly dense, but so moist, with wonderful pops of fresh strawberries and a delicious strawberry glaze. 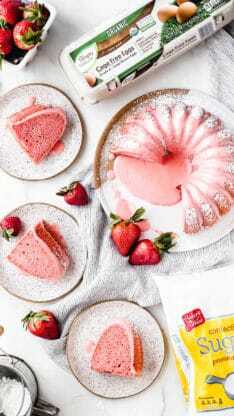 With the use of strawberry puree and extract, it’s undeniably the best strawberry cake recipe ever! Disclosure: This post is sponsored partnership with ALDI. However, all opinions expressed here are my own. I am grateful for authentic partnerships like this. If there’s one thing that I’m sure most of you know about me already, it’s how much I absolutely LOVE pound cake. It’s an obsession that began so long ago that it’s hard to recall exactly when it started. As a little girl I spent countless hours in the kitchen with my Big Mama, mama and auntie stirring giant bowls of cake batter. I’d lick the spoons and feel my anticipation growing. I couldn’t wait for the house to fill with the sweet smells that predicted a delicious result. Occasionally I’d even stand by the oven, peaking in the window and watching the batter swell; it seemed magical. The cakes seemed to take forever to bake, and even after my grandmother carefully removed them from the oven, I knew the waiting wasn’t over. My patience was tested with every second that I was forced to wait until the cake completely cooled. But boy oh boy, was it worth it! The first bite (and every one after that followed) melted in my mouth like butter. The matriarchs of my family made these cakes for every occasion, especially holidays like Easter Sunday, because they could truly be enjoyed by everyone. Even the pickiest of eaters couldn’t deny a slice. To this day, anytime my family comes together there’s always a pound cake in sight. Regardless of the holiday or day of the week, you can’t hold me and my family back from making one! I love the adaptability of it! 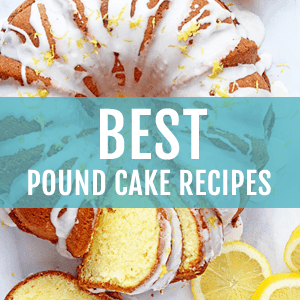 Pound cake can be dressed up with flavorful ingredients or decorations or presented in its simplest form. Either way, the flavor and texture truly speaks for itself especially when using ALDI ingredients. From decadent Cream Cheese Pound Cakes to seasonal sensations like Pumpkin Pound Cake, I’ve made them all; but this year, for Easter and the spring season, I wanted to create something new and fresh. Spring’s flavors are light, fruity and crisp; basically everything that I love in a dessert. Glorious strawberries are now in season, meaning their flavors are stronger and tastier than ever. Each one is beautifully red in color, sweet in flavor and wonderfully textured. Above all, strawberries, especially ALDI fresh berries, are my absolute favorite; they are the perfect balance of sweetness and acidity. I couldn’t imagine a more perfect addition to my pound cake. It truly doesn’t get any better than that. 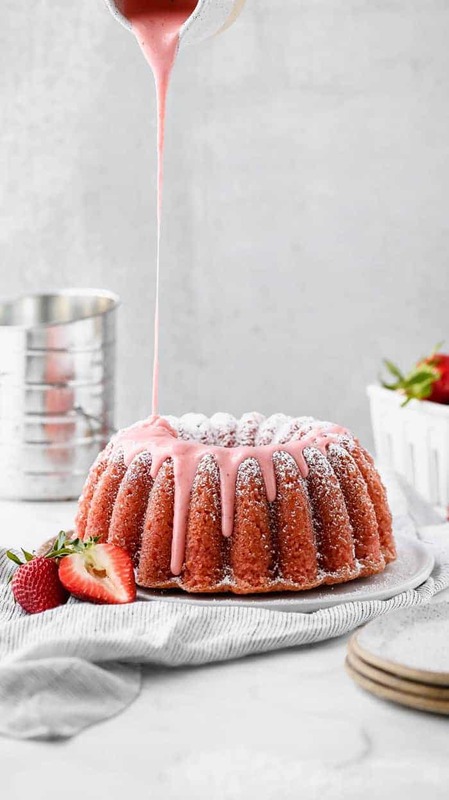 This Homemade Strawberry Cake made as a pound cake is dense, but so moist, with wonderful pops of fresh strawberries and a delicious strawberry glaze. Like these strawberry cupcakes, it uses strawberry puree and strawberry extract to create an undeniable fruity, yet not overpowering flavor. It shines through. The color of this cake is delightfully pink, making for a perfect addition to the Easter dinner table. Attractive to the eye and mouth-watering to the taste buds. Meet my Fresh Strawberry Cake Recipe: the star of this year’s Easter celebrations. In the making of this recipe I wanted to ensure I used the best quality ingredients without breaking the bank. Why not save a few dollars where you can right? Living in Chicago, I know the importance of leaning on my local ALDI. Their reliable, fresh ingredients make it possible to create endlessly delicious recipes. Walking through the aisles, it’s impossible to ignore the affordable prices and high quality products. With prices like theirs, I’m able to create tasty desserts like this Fresh Strawberry Pound Cake for family gatherings without having to spend like crazy. 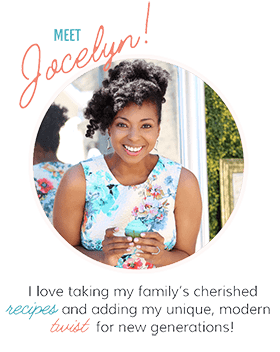 I also love that I can have all of my ALDI ingredients delivered right to my home via Instacart (make sure you grab my coupon code below to take advantage of an amazing offer!). 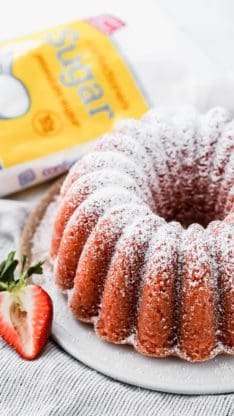 For this recipe, I used a few of my favorite ALDI products: fresh strawberries, Baker’s Corner Powdered Sugar, Simply Nature Grade A Organic Cage Free Brown Eggs and even their Crofton Spring Baking Utensils which will be in stores starting April 3rd for a limited time. Each moving piece was essential to producing the most high-quality result possible. And the baking utensils? Crazy cute, while also being the second hand help in the kitchen that every aspiring baker needs. After every grocery run, I feel accomplished and reassured that my recipe will come out amazing time and time again. I could shout out my love for ALDI from the rooftops. I promise if you took a trip to your local ALDI, so would you. 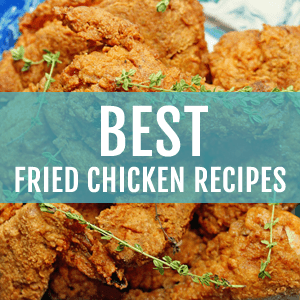 In fact, it’s time for you to head straight to your local ALDI to grab everything for this recipe or you could make it even more convenient by ordering and having all of this recipe’s groceries delivered by Instacart by clicking this link (link only excludes buttermilk due to its availability on Instacart varying by location). First time ALDI Instacart shoppers can grab $10 off their first three ALDI orders of $35 or more with the code ALDIGBC. Prices and availability may vary based on your area. 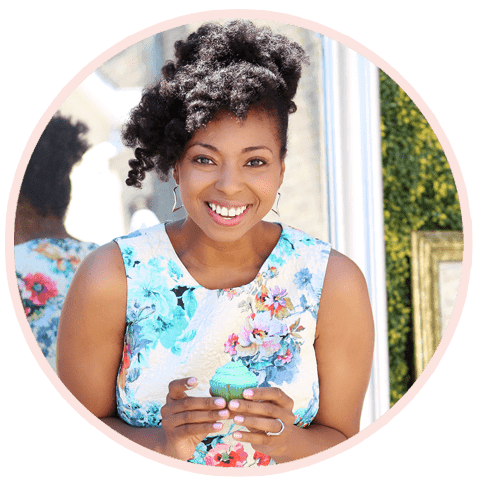 So as spring approaches and you’re planning that fresh new clean Easter Sunday outfit, let me help make your contribution to the family table a little easier. 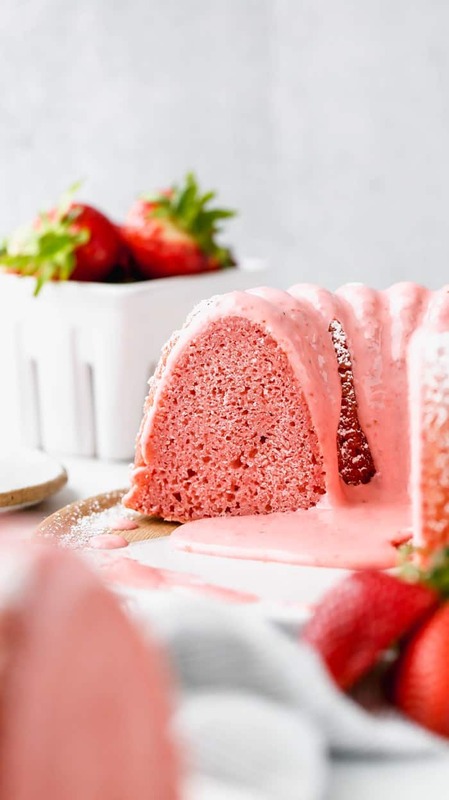 This Fresh Strawberry Cake recipe will be the star of your gathering and the perfect start to the spring season. You’ll find yourself coming back to this recipe all summer long and believe me, so will I. 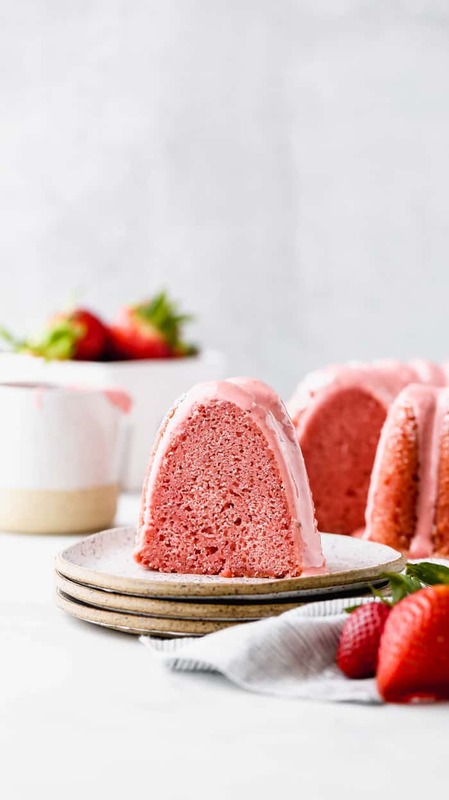 If you like this fresh strawberry pound cake, you’ll probably love some of my other strawberry recipes. 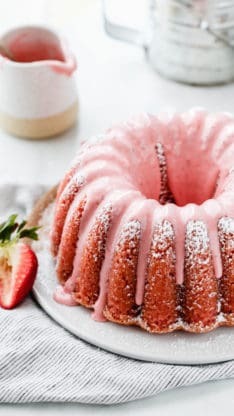 Fresh Strawberry Pound Cake Recipe - A delicious pound cake, perfectly dense, but so moist, with wonderful pops of fresh strawberries and a delicious strawberry glaze. With the use of strawberry puree and extract, it is undeniably fruity yet not overpowering. Remove the stems and wash strawberries thoroughly. Next add strawberries to food processor or heavy duty blender and puree until smooth. 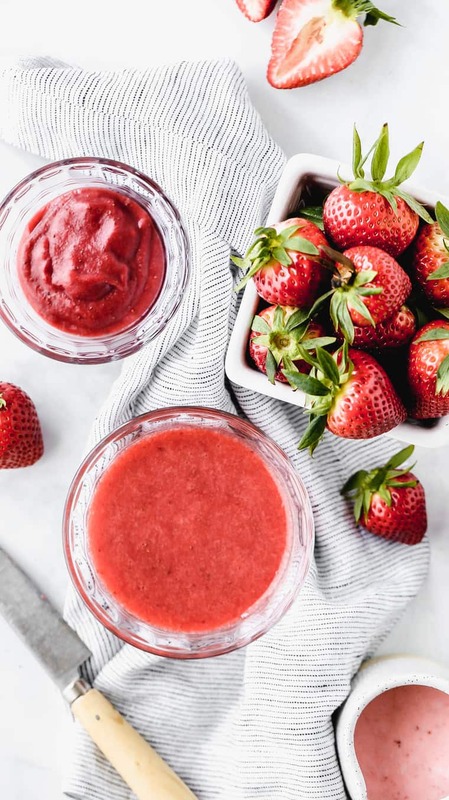 Then add strawberry puree to a small pot over medium heat and reduce the puree for 15-20 minutes or until you have ½ cup left. It should be pretty thick. Cool puree down to room temperature and set aside. Next preheat oven to 325 degrees and prepare a 12 inch Bundt pan with nonstick method of your choosing. In your mixer bowl, add butter and beat for 2 minutes on high speed. Slowly add in sugar and beat on high speed for an additional 4 minutes until very pale yellow and fluffy, might be a bit crumbly. Next, add eggs, one at a time, combining well after each addition and scraping down the sides of your bowl as needed. Turn your mixer down to its lowest speed, and slowly add flour in two increments, then add salt and baking soda. Be careful not to overbeat. Lastly, add buttermilk, the cooled strawberry puree, vanilla and strawberry extracts (and red food coloring if desired) and mix until just combined then stop. Pour cake batter into the Bundt pan and bake for 70 to 80 minutes or until a toothpick inserted into the center of the cake comes out clean. Cool in pan on a wire rack for 10 minutes then invert cake on serving plate. Once cake has cooled to room temperature, add strawberries to food processor or heavy duty blender and puree until smooth. Whisk together 2 tablespoons of the strawberry puree, powdered sugar, vanilla and lemon or lime juice until smooth and thick, but pourable. Use your spoon to test this by seeing how it runs down the side of the spoon. If too thin, adjust with powdered sugar and if too thick, add a bit more juice until consistency is perfect. Glaze top of cooled cake and let set for 10 minutes then serve. 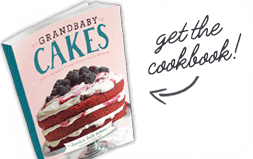 Make sure to slow down your mixer when adding in your dry ingredients to not overactivate gluten in the cake. The question was not answered regarding the strawberry puree in this recipe. How do you make it & do you have to purchase another pint of strawberries. I look forward to your response. It’s hard to find fresh organic strawberries since they’re not in season. Can I use frozen? To make strawberry puree for cake portion how many strawberries or how much do I use??? The list mentions a pint of strawberries. But do I use the whole pint to puree for cake batter? Yes you need the entire pint for the recipe. Thanks for creating this recipe. I’ve never liked the strawberry cake mix version – too sweet. Can’t wait To make it. Hooray I hope you like it! 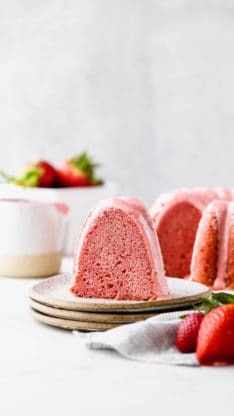 Can you use regular large eggs in this strawberry cake instead of cage free? Love this for Spring! I cannot want tot ry it! This is the most GORGEOUS cake I have ever seen!!!! Love the photos! I am so excited for strawberry season to be in full force! This cake will happen! I can’s wait to make this. Hooray I hope you enjoy! This is the most beautiful Budnt cake I have ever seen! This cake is absolutely gorgeous! I love strawberry cakes! This strawberry cake looks simply divine!! Love it!!! Oh my where has this been my whole life ! !